Gee is now at that in between age where she is turning in to a little lady. She still loves messy play but also is keen to try out presents more suitable for teenagers. 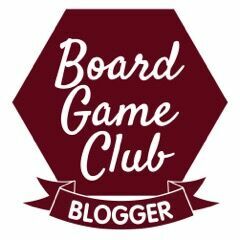 I have had lots of fun sourcing items that I think she might like to receive and would love it if you had any more ideas that you would like to share with me. We love Christmas shopping and have great fun choosing suitable gifts for all the children. 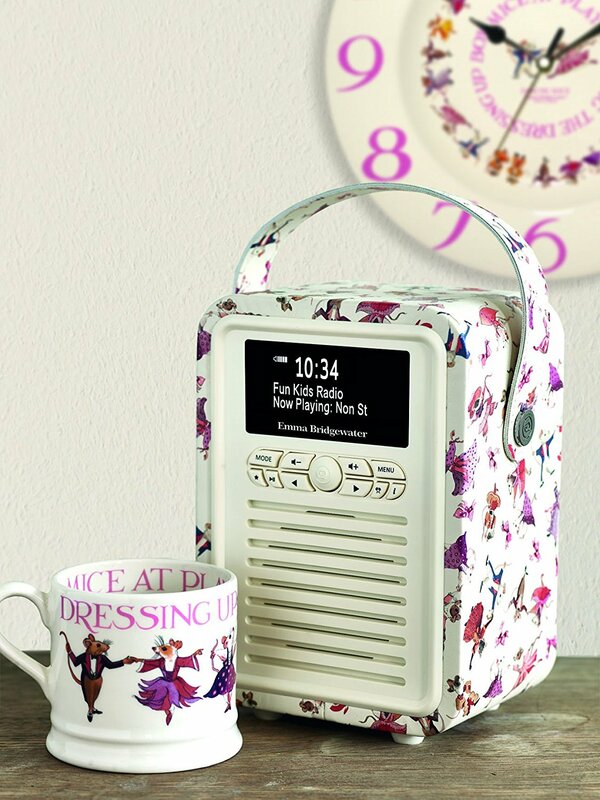 I have completely fallen in love with this gorgeous Retro Mini DAB, Radio and Bluetooth Speaker with Emma Bridgewater design. With its vintage style and modern functionality I think it will make the perfect gift. Gee will be able to listen to music on the radio and play her audible books through her phone via the Bluetooth connection. A dual alarm will assist her to get up in a morning and I just adore the dancing mice design. Each radio comes complete with a 3 year guarantee and can run on mains power or 4 AA batteries and has a USB point to charge your phone or tablet. Priced at £89.99 you can purchase from VQ online. A great kit to introduce children to coding through play. 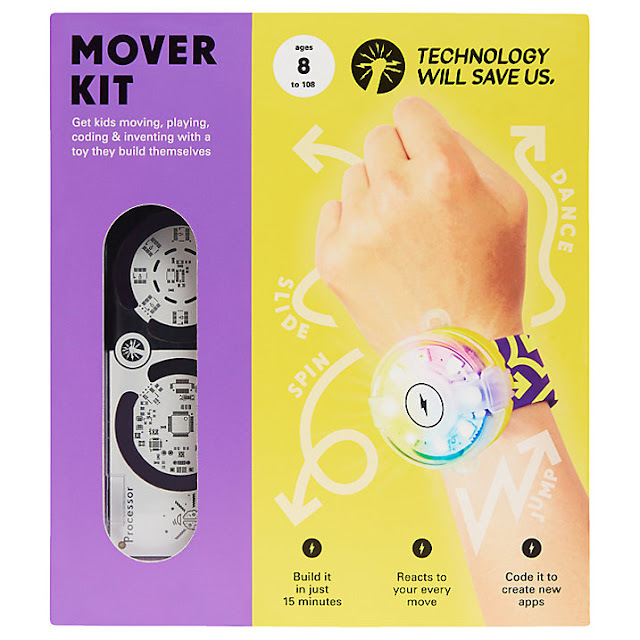 This kit can help children to problem solve, customise technology, learn to code and make their own games. The Mover Kit blends fun and imagination with the creative and technical STEM skills kids need for their future. I think Gee will love exploring this kit and it will provide endless fun, whilst also improve her coding skills. Priced at £59.99 it is available from Tech Will Save Us. When I was little I had a Scaletrix and loved watching the cars go round the track at speed. 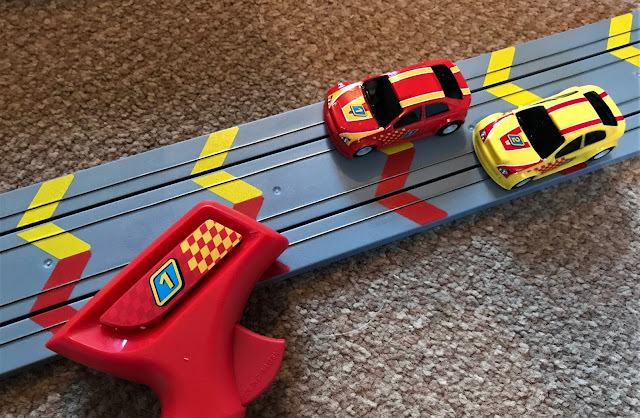 Hornby have now produced a great introduction in to the world of Scaletrix for children over the age of 3 years. My First Scaletrix comes complete with two rally cars, 2 adjustable hand power controllers and special Magnatraction technology which helps to keep the cars on the track. 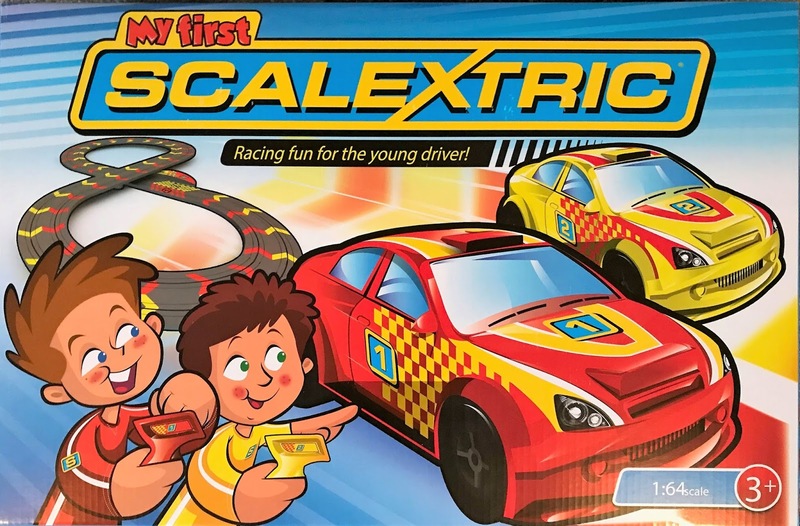 It is also compatible with the Micro Scaletrix sets to allow you to extend and expand your track and add new cars. You can buy My First Scaletrix from Hornby priced £39.99. I know a little boy who will absolutely love this. What a fabulous present to wake up to on Christmas morning. 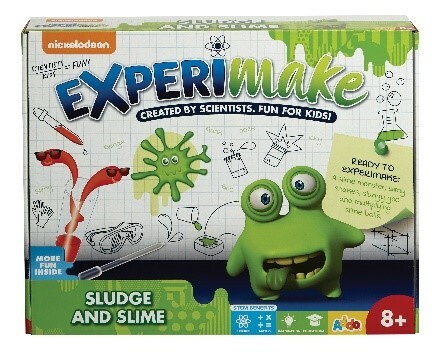 The Entertainer Toy Shop have some fun experimental sets for boys and girls and I know the Experimake Sludge and Slime set will be a huge hit. Gee is obsessed with making slime and will be in her element creating sludgy goo, slime balls, scary snakes and invisible monsters. Playing with tactile substances is quite soothing for a lot of children. Usually priced at £20 it is on offer for £8, available from The Entertainer Toy Shop. 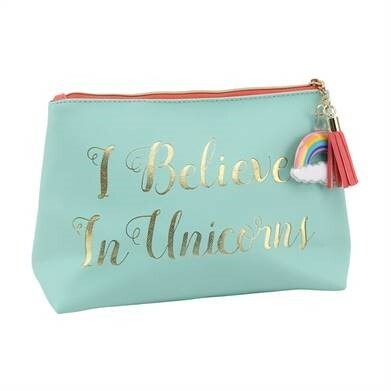 Gee loves Unicorns and the I Believe in Unicorns Make Up Bag from Find Me a Gift is perfect. I love the colour and design on the outside but inside the material is covered with little prancing gold unicorns and on the zip is a rather cute gel rainbow and pink tassel. The bag itself is large enough to old make up and brushes or it could be used as a pencil case. This would make a lovely stocking filler and costs £12.99. 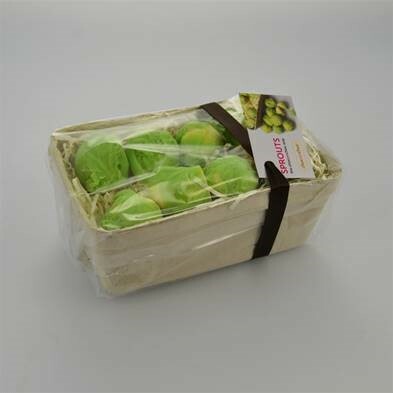 I always like to wrap a present up as a bit of a joke and I came across these rather cute looking Chocolate Sprouts at Find Me a Gift too. Gee despises Brussel sprouts and I cannot wait to see her reaction when she opens these on Christmas morning. Each box contains 8 solid white chocolate sprouts which are handmade in the UK by Choconchoc and are available for £9.99 at Find Me a Gift. 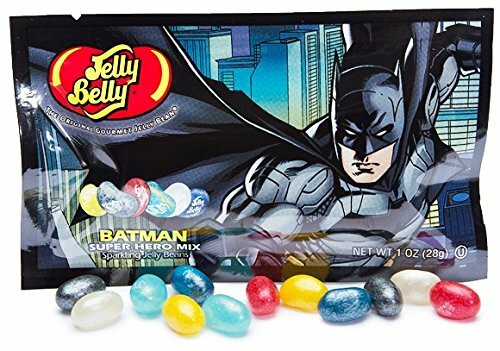 Gee really is a super hero, she has had such a touch year but has battled on whatever life has thrown at her and I thought these Jelly Belly Super Hero Mix would be a great reminder that she is my super hero. Each bag contains shimmering versions of popular flavours Berry Blue, Blueberry, Cream Soda, Sour Lemon, Very Cherry and Wild Blackberry. These can be purchased from Jelly Belly. This Christmas Haribo have a huge range to cater for everyone in the family and here are a few of my favourites that we can all share. 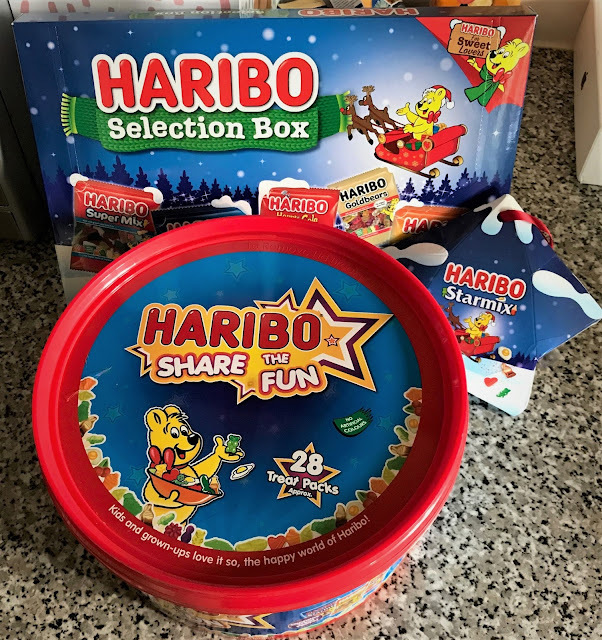 The Haribo Share the Fun tub contains 28 mini treat packs perfect for sharing on Christmas Day. Gee will love the selection box which contains 8 mini bags including Starmix, Tangfastics, Super Mix, Goldbears and Happy Cola and I love the cute Starmix Tree Decoration. Also available are Giant Trees and a Advent Calendar. Plenty of choice to share the love of Haribo this Christmas. Available from stockists nationwide. These are just a few ideas of what we have been looking to buy this Christmas, have you any more ideas for family members? We were sent some of this items free of charge but the opinion is entirely our own. Forget the kids, I want that unicorns bag for myself! I am loving that DAB radio and what child doesn't like a bucket of haribo ??? Fab Christmas gift ideas here. I like them all.